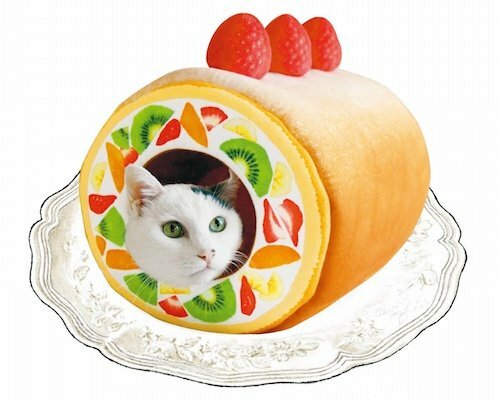 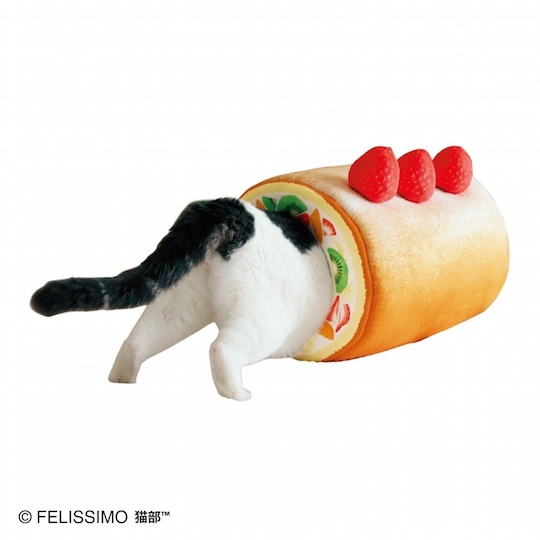 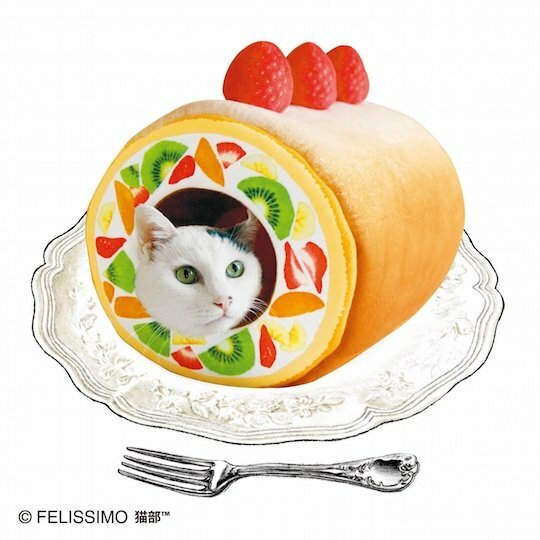 The Nyanko Kitty Rollcake Tunnel for Cats by Felissimo is as cute and visually arresting as you'd expect from a country that is simply crazy about cats. 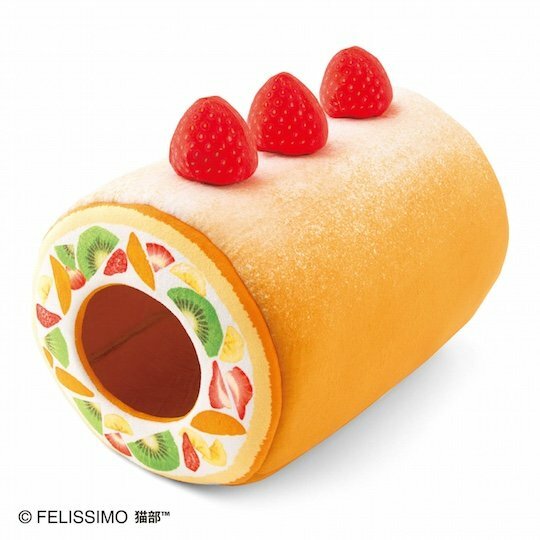 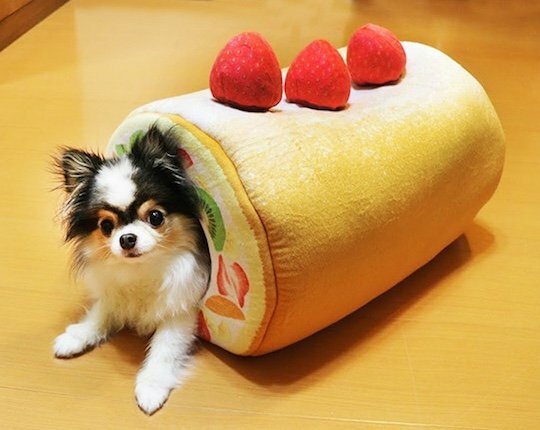 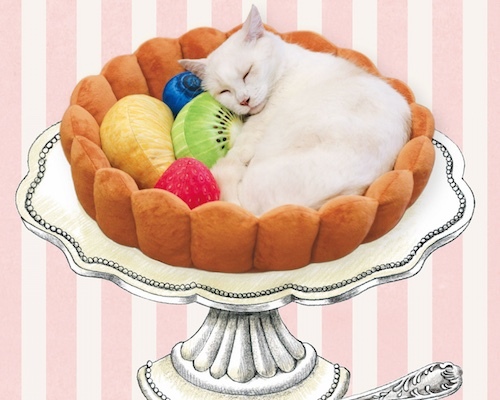 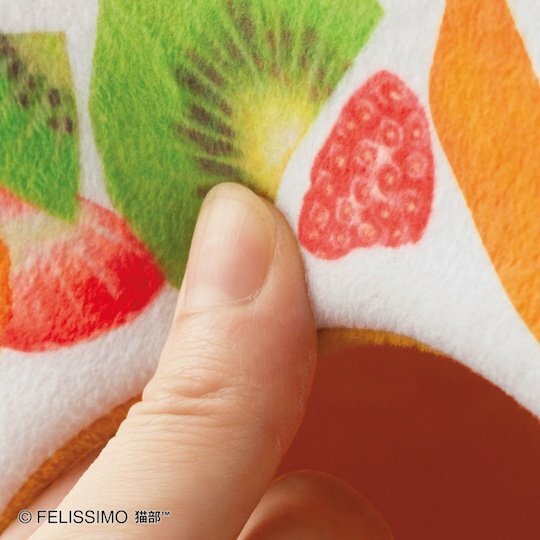 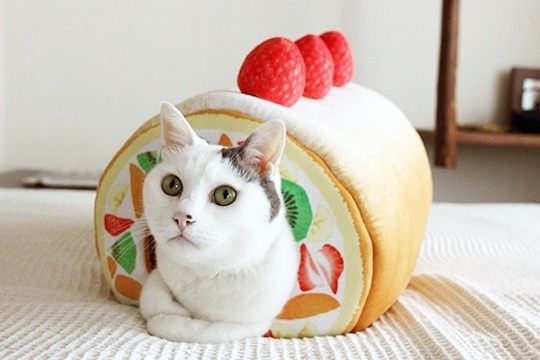 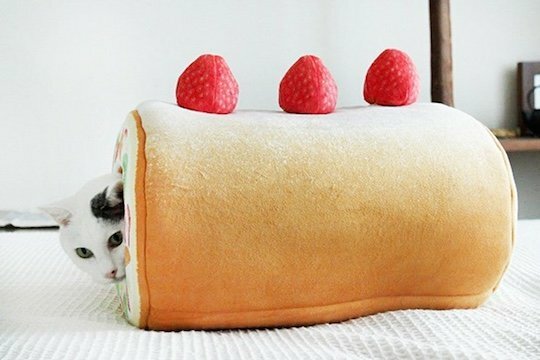 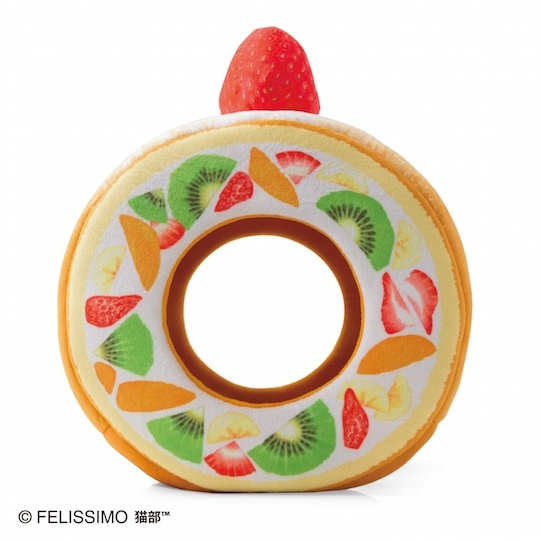 Prepare for overwhelming levels of Instagrammability with this absolutely delightful (and delicious-looking) "rollcake" (what people in Japan call Swiss roll sponge cakes) that your pet cat will just love lying down in. 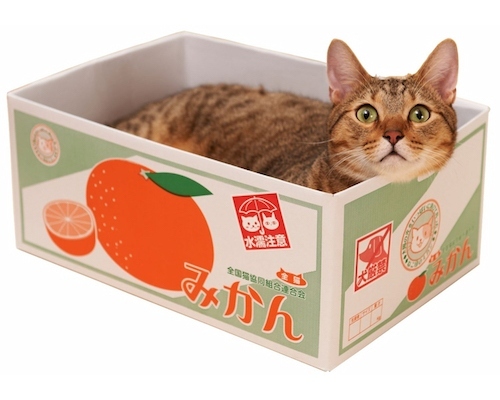 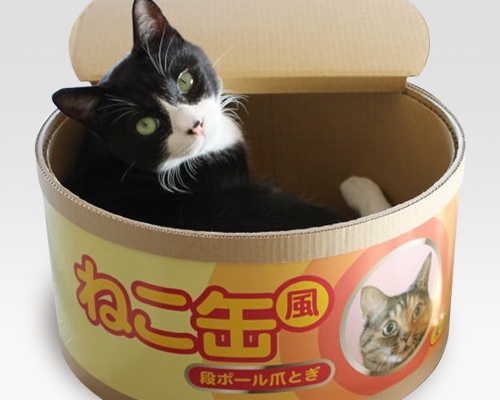 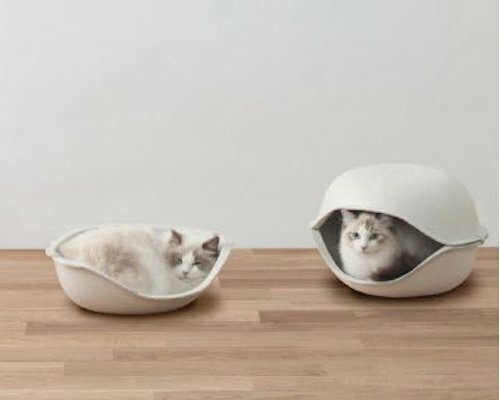 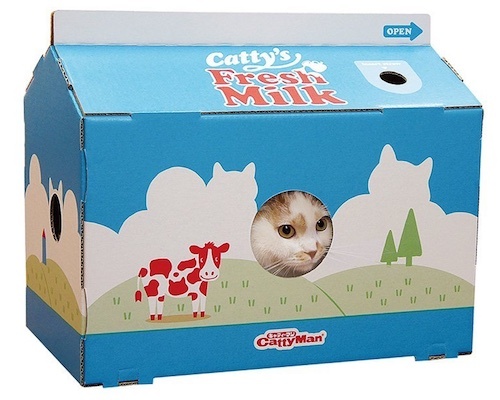 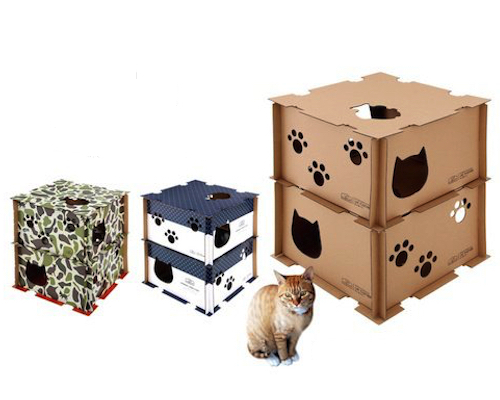 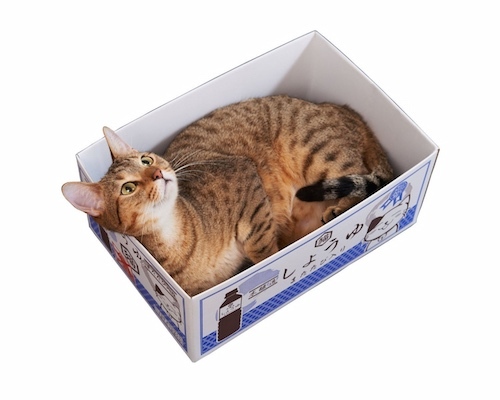 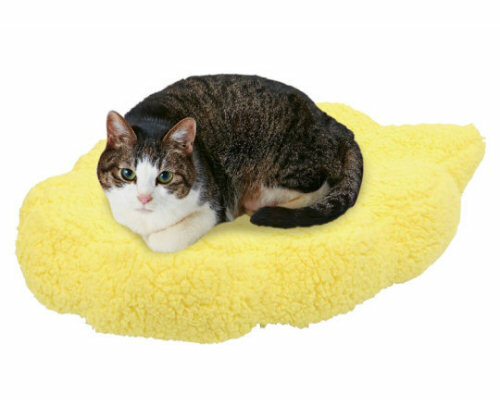 In addition to its unique appearance, the pet bed is very snug and comfortable for your feline friend. 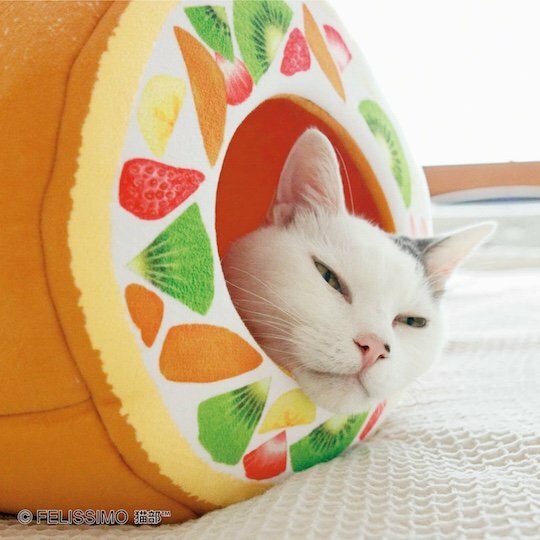 Though designed originally for cats, Felissimo suggests the tunnel bed is also suitable for small dogs.